The Digital Hub, a locally based state agency for the development of digital media, recently announced the launch of a joint access programme with St James’s hospital. It is hoped the programme will give digital technology and content companies the opportunity to develop innovative solutions to common health challenges that have been identified by healthcare professionals working in St James’s Hospital. A local representative from the United Left Alliance, Tina MacVeigh, said the union was ‘exciting and promising’. She explained that she became familiar with The Digital Hub last year when she witnessed their ‘Future Creators’ project in conjunction with the National College of Art and Design. 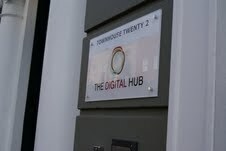 A spokesperson for The Digital Hub, Martina Quinn, stated “the project is at the start-up stage at present. Over the coming months, The Digital Hub will be consulting closely with healthcare professionals within St James’s to identify health issues on which innovative digital solutions could make a positive impact.